Happy hour is that precious reprieve from San Francisco’s unrelenting drainage of your bank account. It’s the time of day when anything seems possible — even a beer that won’t require taking out a mortgage or choosing between snacks OR drinks. And with more and more hot spots opening around town, that means more and more happy hours to choose from. 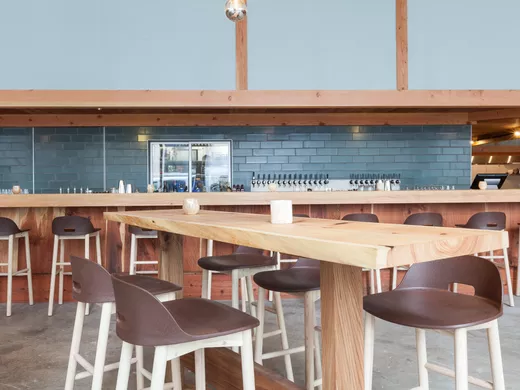 Here are some of San Francisco’s recent additions to the happy hour scene, mapped out for your drinking pleasure. 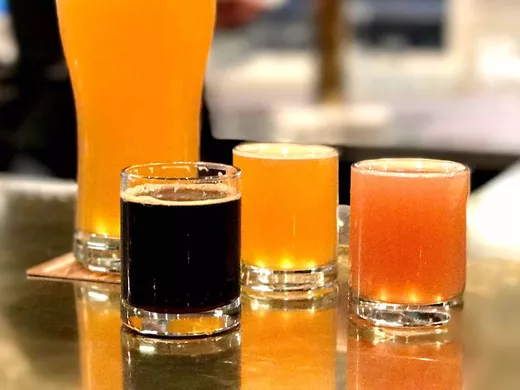 And while these are currently the hottest new happy hours around town, there are plenty of others that are essential to the discounted drinking scene, and you can find those here. Happy drinking. Cajun beauty Alba Ray’s in the Mission has happy hour on weekdays from 5:30 p.m. to 6:30 p.m. at the bar. Get your New Orleans on with $6 sazeracs, Hurricanes, and daiquiris (current flavor: strawberry), as well as $3 Abita bottled beer. If you’re feeling peckish, you can snack on pimento cheese and saltines ($8.50) and fried pickles with remoulade ($6.50). Almanac’s fresh IPAs and aged sours taste even better at happy hour, when they’re $2 off on all full draft pours. That’s 3 to 6 p.m. Tuesday to Friday. 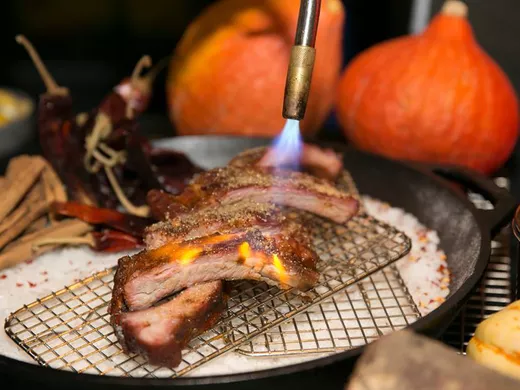 And no need to drink on an empty stomach when chef Justin Wright is in the kitchen whipping up combos like $10 for a beer and wings or a burger. Belga’s new happy will hit the spot. 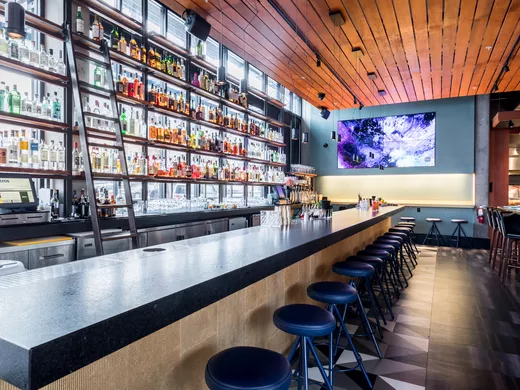 The five spot, that is, as the menu features $5 deals on drinks and snacks, including the Caspian martinia with Beluga vodka and a twist, and optional $2 “caviar burst.” Select beers, wines and snacks are also $5, with $2 oysters and more. 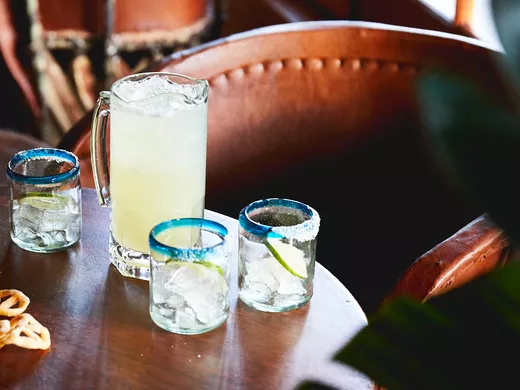 It’s available Monday-Friday from 3:30 p.m.- 6:30 p.m.
Castro newbie Botellón has an unfussy daily happy hour from 5 to 7 p.m. with $4 beers, $5 rosé slushies, $7 gin-based cocktails, and markdowns on bar bites like $4 fries, $5 kale, ribs for $2.50 each, and fried potato bombas for $4. It’s a very good way to start an evening in the neighborhood, as it’s central, and there’s plenty of room at the long bar and in the lounge-y chairs and tables on the flatiron corner. 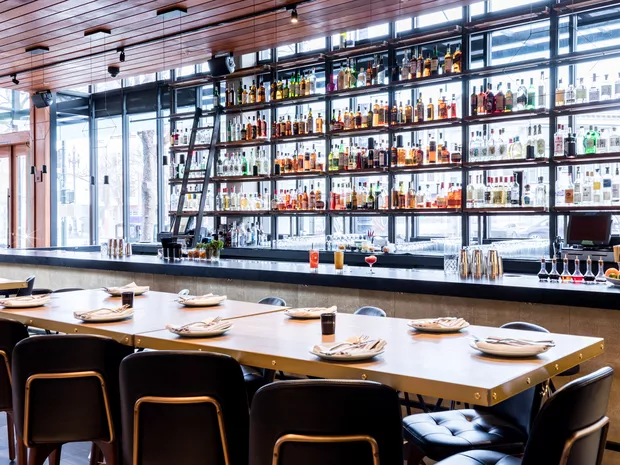 A good time to try the new-school deco luncheonette City Counter would be 4 to 7 p.m. every day, when the bites — like green goddess deviled eggs, smoked cheddar fondue with sourdough, and spiced chicken meatballs — are cheap. Meanwhile, the drinks are marked down to “please come in after work” prices: Beers are $4-7, and wine starts at $7-10 a glass. 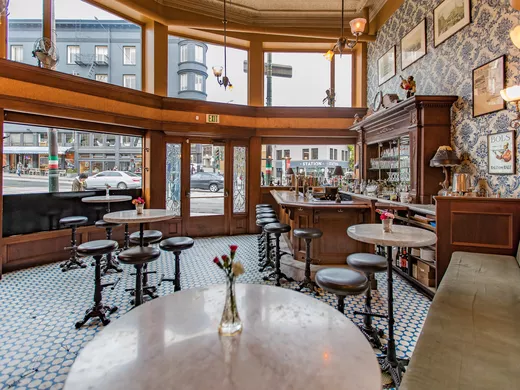 This North Beach watering hole has operated as a bar since 1907, and under the Absinthe Group’s ownership, it’s got some top notch old-school and contemporary cocktails. $8 happy hour drinks are served daily from 4 p.m. to 6 p.m., and include a Scofflaw (rye, dry vermouth, lemon grenadine) or a shot and a small beer combo (Four Roses Bourbon and Anchor Steam or Bols genever and Trumer Pilsner). New chef de cuisine Jason Raffin has bar snacks to match including white cheddar or caviar chexx, fries, and crispy Brussels sprouts with chicharrones. 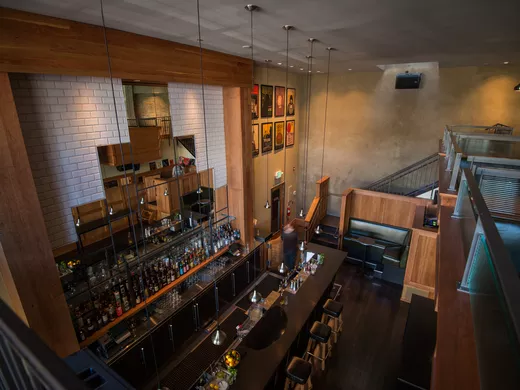 Finn Town’s new executive chef Steve Dustin has whipped up a menu featuring happy hour bites and cocktails. From 5 to 7 Monday through Thursday and 4 to 7 on Friday, Tito’s special cocktails are $9, red, white, and rosé picks are $7, and Napa Smith Pilsners are $5 on draft — that should get you out of work mode. Flores is extending its buzzy service to include happy hour, the most important meal of the day. 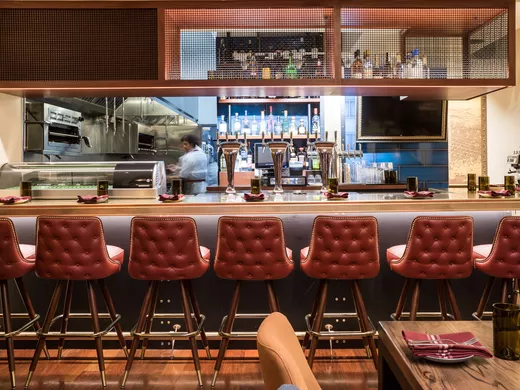 $3 tacos, $7 margaritas and $4 beers are on offer at the bar only, Monday through Friday from 4 p.m.- 6 p.m.
It’s pretty tough to get a reservation at Ayesha Curry and Michael Mina’s white-hot new restaurant International Smoke, but from 4 p.m. to 6 p.m. Monday to Friday, you can head in for happy hour and get deals like a single rib for $3.50 and a Miller Highlife Pony for $3. The happy hour menu also has items like red curry cornbread for $5, pulled pork sliders for $5 each, wine and punch for $7, and several styles of pickle back shots for $8, including “soy” (with lime, soy and Yuzu pickle brine and Suntory Toki Whisky) and “taqueria style” (with jalapeño, carrot brine and Espolòn Blanco tequila). 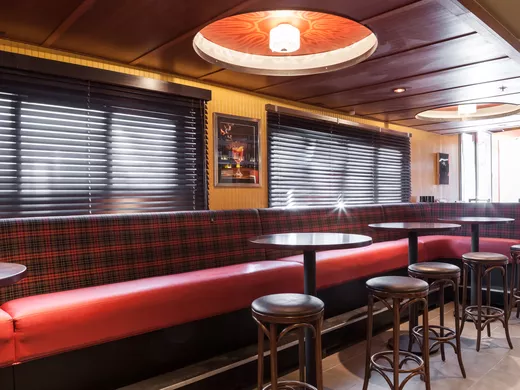 Foreign Cinema’s sister bar Laszlo, which places its emphasis on quality cocktails and a dash of live music, is just the ticket for an after work special. 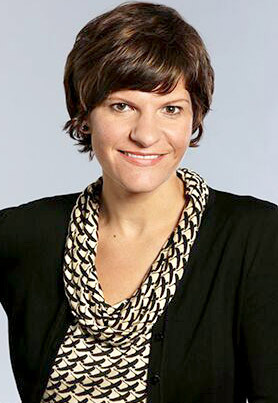 A new happy hour from 4 p.m. to 6 p.m. on Monday through Thursday includes $7 specialty cocktails from bar manager Nicky Beyries, named after female main characters from classic movies. Choose from options like a mezcal-based cocktail named after Melanie (The Birds), or the Marion (Psycho) with Lillet Rosé, gin, and cara cara orange tincture. 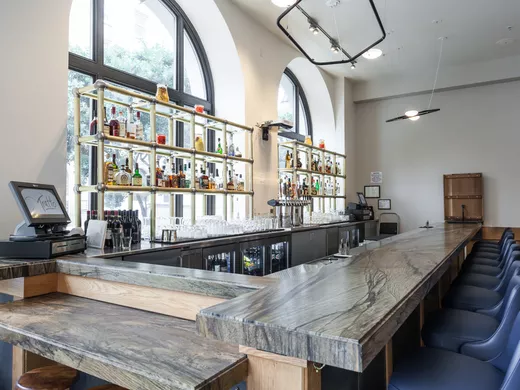 The newest old-school bar in the Marina is now inviting guest over for happy hour, with condensed wine and cocktail menus, and snacks like toasted raviolis. 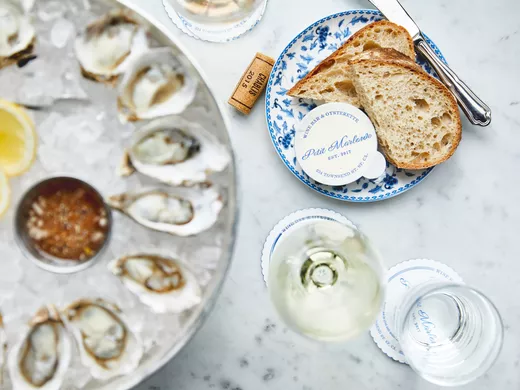 It’s all $7 dollars, from drinks to bites — that also includes the half dozen raw oysters. The fun happens Tuesday through Friday from 4:30 p.m. to 6 p.m., and 3 p.m.- 6 p.m. on Saturday and Sunday. 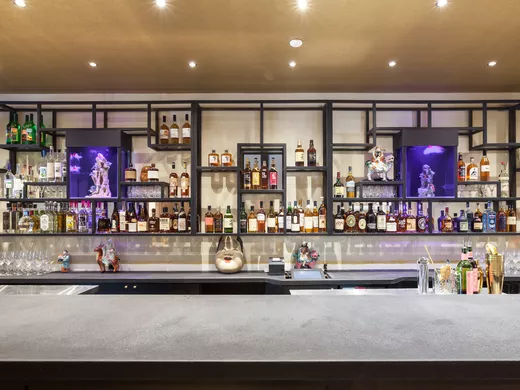 Every Tuesday through Sunday, Mister Jiu’s now hosts “sour hour” at the bar from 5 p.m. to 7 p.m., with different takes on the classic drink, like the whiskey sour, amaratto sour, and more for $8. 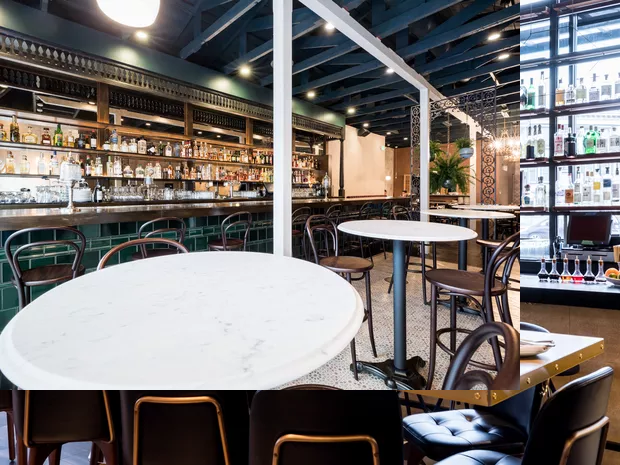 This one’s for the for the fine folks of the FiDi: Perbacco, often reserved for special occasions, hopes new weeknight drink specials will be special enough to lure in customer, and they could be on to something. 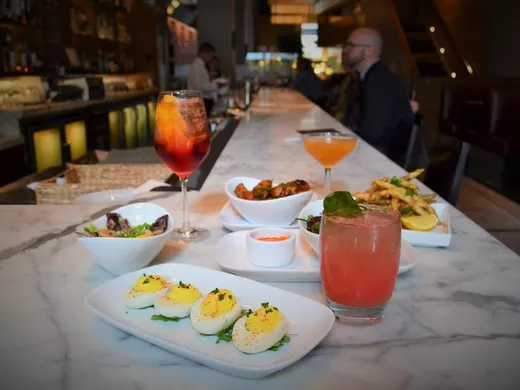 From 2 to 6 p.m. in the bar on Monday through Friday, wine specials and cocktails (like a negroni spritz) are $9, beer is $5, and there’s a menu of snacks from $2 to $9 a piece, including deviled eggs, chicken wings, and fried green beens. 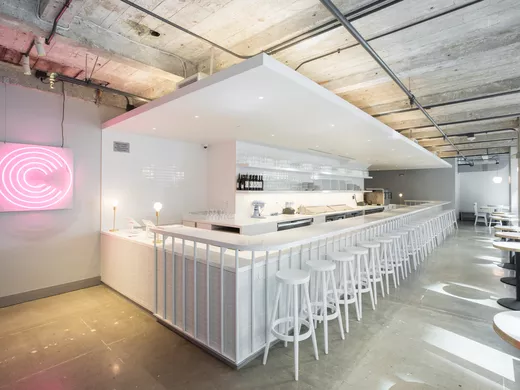 Swing through the stylish doors of this SoMa wine bar for half-price oysters and $25 bottles of rose, Monday through Saturday from 4 p.m.- 6 p.m. 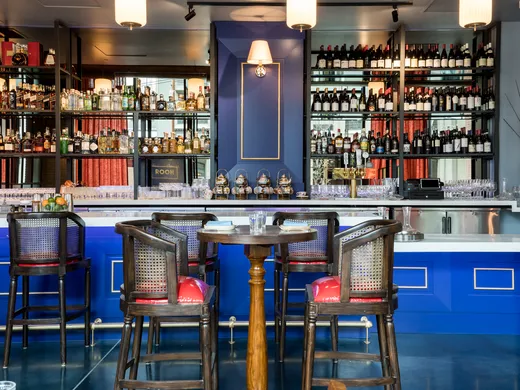 This contemporary Indian restaurant, imported straight from India itself, offers happy hour at its bright cobalt blue bar on weekdays from 4 p.m. to 6 p.m. Small plates such as chili pakoda with ricotta and mint chutney, lentil kulcha with truffle butter, and Goan chorizo scotch eggs with house ketchup start at $5 each. As for drinks, there are $8 wines by the glass and $5 beers. $3 tallboys and $2 hot wings are the stuff happy hour dreams are made of. 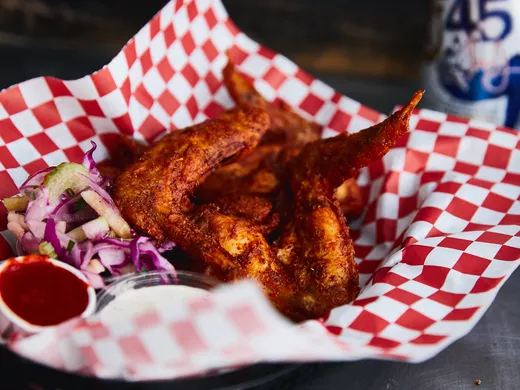 That’s now available at this SoMa chicken joint from SF restaurateur/overachiever Adriano Paganini, from 4 p.m. to 7 p.m., Monday to Friday. 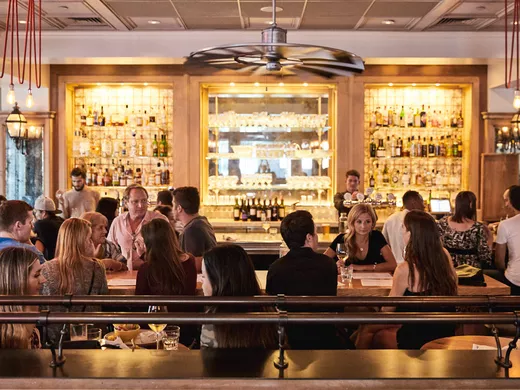 America’s most sustainable restaurant can now help you sustain a buzz during happy hour, which happens Monday through Friday from 4 p.m. to 6 p.m. The deal is half off a featured cocktail, wine, and beer of the day, plus 25 percent off all draft cocktails, wines and beers. Plus, there’s an all-new bar menu with a burger. Tratto is a Union Square savior, and its happy hour is no exception. When looking for a retreat in the area, head here weekdays from 3 p.m. to 6 p.m. for light bites for $3 to $8, Peroni for $3, house wine for $4, house cocktails for $6, and well cocktails for $7. 501 Geary St.